After spending 20 years as a Creative Director at some of the world's top advertising agencies, John left the corporate world in 2015 to dedicate his life to conservation. It was on a South African volunteer vacation back in 2012 that John came face-to-face with the state of our planet's wildlife. He saw the daily struggles reserve managers and ecologists faced to keep the animals safe on shoestring budgets. He saw anti-poaching rangers with tattered uniforms, poached rhino skulls with machete scars, and snared animals that had to wait weeks for veterinary assistance. He also learned about the ever-dwindling numbers of animals due to habitat loss. 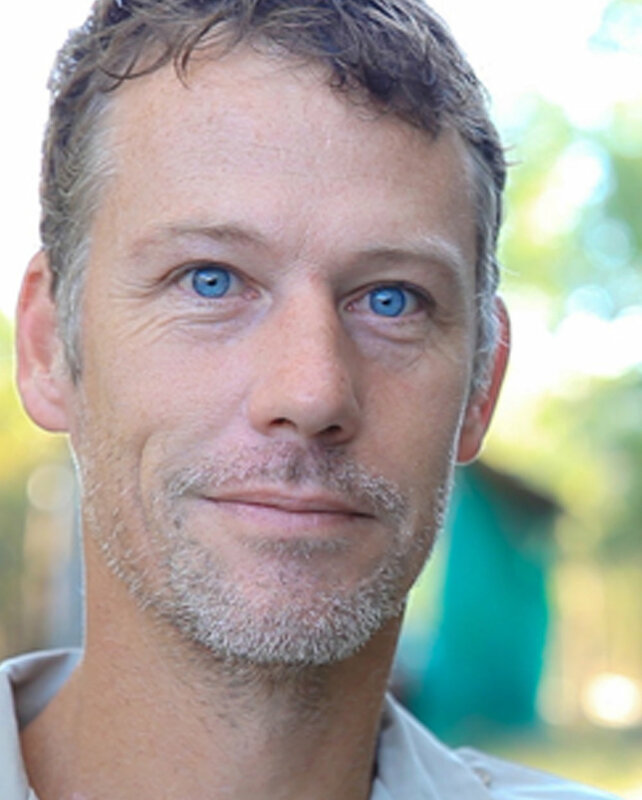 Unable to shy away from these issues, John decided to leave his corporate life in March 2015 to form Wild Tomorrow Fund with the intent of providing compassionate people around the world a way to make positive, long lasting change. During her 10 years based in Japan, Singapore and New York as a Director of Currency Sales for Barclays and Citibank, Wendy spent much of her free time volunteering for wildlife organizations in Asia and America. Wendy believes that biodiversity loss and climate change are two of the most critical issues facing our planet today. In 2015 she left the finance world to complete her Masters Degree in Sustainability Management at Columbia University's Earth Institute where she studied climate change science and policy, researched the intersection of poverty and rhino poaching, and studied new methods for financing the green economy. Wendy now uses both her business knowledge and her environmental education to help protect our planet's biodiversity. With a deep passion for ending the illegal trade in wildlife, Wendy most recently investigated the elephant ivory market in New York with help from New York's Department of Environmental Conservation. Clinton grew up on a farm near the world-famous Kruger National Park, where from an early age he had an extreme love of wildlife. He spent most of his childhood rehabilitating and re-wilding owls, duikers, mongooses, snakes, and tortoises. His passion for wildlife lead him to studying Animal Science, where he earned a bachelor’s degree with honours. After graduating he worked for leading overland safari tour companies throughout South Africa, Swaziland, Botswana, Zambia, and Zimbabwe before spending the next eight years living and working as a teacher in Taiwan. After returning to South Africa in 2008, he spent a short stint in the corporate world, before heading back to University to complete a second honours degree, this time in Wildlife Management. 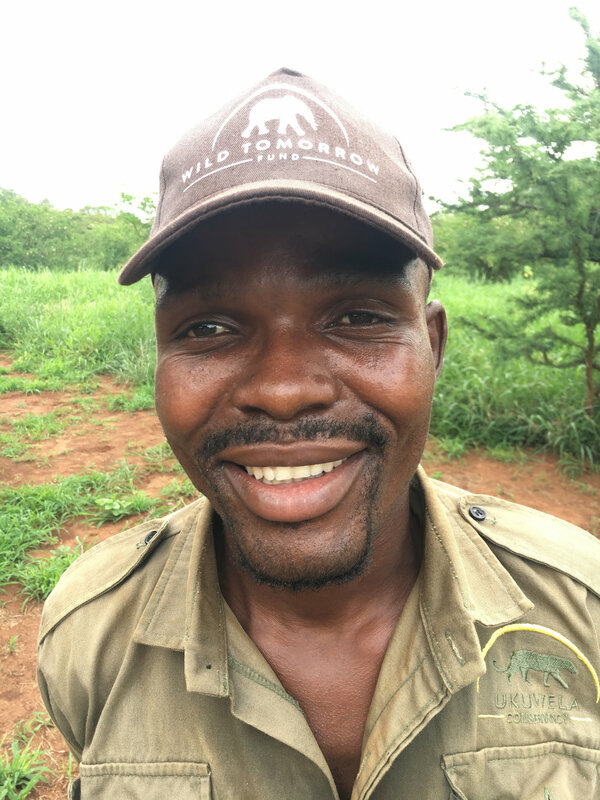 He then returned to the field working for Wildlife ACT as a priority species monitor, tracking African wild dogs and lions, in Tembe Elephant Park. Five years later he found himself living and working in Ndumo Game Reserve, a RAMSAR Wetland and Important Birding Area. Having first hand, on the ground experience of the issue facing wildlife he knew he wanted to do more and make a difference. A fortuitous meeting with John Steward led to the formation of Wild Tomorrow Fund. He recently completed his Master’s degree at the University of Pretoria in Wildlife Management, and has authored numerous resource documents currently being used in reserves in Zululand. Born and raised in the US, Axel began his wildlife career at the University of Alaska and the University of Connecticut where he received his Bachelors Degree in Ecology & Evolutionary Biology. After graduating he moved to Alberta, Canada to research Grizzly Bears. With a lifelong passion of African wildlife, Axel moved to South Africa in 2013 where he attended the University of Pretoria to study Wildlife Management & Conservation for his Honors and Masters degrees. His initial work was studying the rare and endangered Suni antelope as well as the Spotted Hyena. He has gone on to become an authority on both species, authoring the IUCN Red Data Assessments for both animals in Southern Africa. Having witnessed first-hand the troubling reality that our planet's wildlife is facing, Axel co-founded Wild Tomorrow Fund to make deeper, longer lasting conservation changes. He works alongside some of the top conservationists and researchers to protect and better understand threatened species and ecosystems in South Africa. Barbara was born in Minas Gerais, Brazil. After schooling she spent her years working in South Korea, Taiwan, Hong Kong and China, before finally settling in Zululand, South Africa. Barbara has always had a love for the unusual and her passion for conservation and fearless nature lead her into the field of entomology and arachnology. Barbara runs the WTF Zululand Entomology Facebook page and Instagram account as well as the WTF Entomology website. She is currently compiling projects for Wild Tomorrow Fund to run in multiple reserves in Zululand looking at insect and arachnid biodiversity. Texas born and Connecticut raised, Tori has always had a strong love (if not, obsession) for elephants. Tori obtained a degree in Environmental Studies at the University of Colorado. During this time, she visited Tanzania to study Political Ecology & Wildlife Conservation for a semester. After those 4 months living in Africa she knew she had found her lifelong passion for wildlife conservation. After graduating, Tori embarked on a 6-month wildlife conservation internship. Three of those months were spent working on Wild Tomorrow Fund’s Ukuwela Conservancy. This was just the beginning of Tori's journey with Wild Tomorrow Fund. Upon her return to the US she joined the New York team working on social media strategies, fundraising, event planning and more.